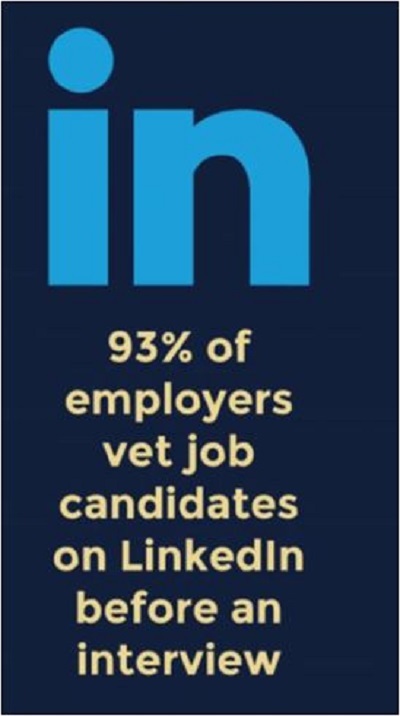 According to LinkedIn, over 149 million workers in the U.S. have LinkedIn profiles; over 20,000 companies in the U.S. use LinkedIn to recruit; over 3 million jobs are posted on LinkedIn in the U.S. every month, and members can add over 50,000 skills to their profiles to showcase their professional brands. LinkedIn is currently showing over 230,000 job vacancies in the Washington, DC Metro area. Utilizing the Easy Apply capability directly on the site allows you to pull your LinkedIn profile and resume directly over to apply for the position of interest without leaving the site. Having an optimized LinkedIn profile and resume ready-to-go is key! Learn about our LinkedIn Profile and Resume Services. To further read LinkedIn’s July 2018 Workforce Report. Regardless of where you live in the DC Metro area – District, Fairfax, Arlington, Alexandria, Baltimore or Annapolis having the essentials (LinkedIn Profile, Resume & Cover Letter) is paramount to start your job search. We’ve studied LinkedIn, we’ve listened in on webinars from top industry experts and have acquired and studied closely #1 Best Seller books on the topic of LinkedIn Profile Optimization. We didn’t stop there! We (well, the owner) has made a point since the start of her business to connect with the most ‘well known’ experts on LinkedIn. This provided an opportunity to study their work, study their habits and glean knowledge that she then meticulously apply’s to every LinkedIn profile writing project. Want to view more examples of LinkedIn profiles?